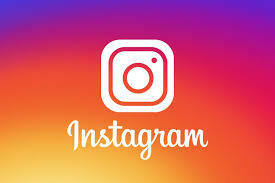 Instagram Password Reset Sms: To recover your password, start by opening the Instagram app and tapping Forgot password?, for iOS users, or Get help signing in, for Android users. On the login screen, tap the Username tab, and enter your Instagram username or the email address that you used when signing up for your account. If you do not remember either of these, you will need to use another method. You will receive at the email address that you used to sign up for Instagram a link to reset your password. Click this link in the email, and you will be taken to a page that will prompt you to enter a new password. Choose a new code, and save your changes. The next time that you log into Instagram, be sure to use this new code. If you are using an Android device, you can choose to reset your password via SMS. Open the Instagram app, and on the login screen, tap Get help signing in below Login. Tap the Send an SMS option. You will receive an SMS at the phone number that you have registered with Instagram. Follow the instructions in the message to reset your password. N.B. This option is not available for iOS users. If you are having trouble resetting your password because you don't remember your email address, phone number, or Facebook account, Instagram can provide you with additional help. Tap Use Username or Email, then enter your username or your email address. Next, tap the right arrow in the top-right corner. Tap Need more help?, then follow the on-screen instructions.